Betonring Murtal was founded 2001 by a co-operation of seven local construction firms, the Betonring-Ring St. Veit and Mr Johann Hirtler. 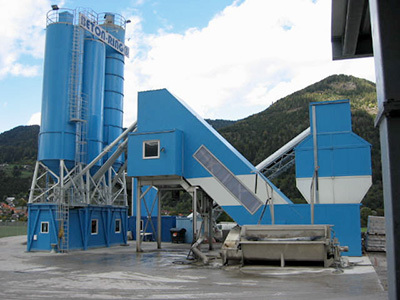 This co-operation established a new RMC plant in the industrial area of Schleifling in Styria/Austria. Betonring Murtal is using a mobile horizontal mixing plant from the company Kaiser GmbH. The capacity of each of the four in-line aggregate silos is 80m3 (all together 320m3). The silos are fed through a steep angle conveyer and a distribution belt conveyer, with a capacity of 160m3 per hour. The three cement silos have a total capacity of 280m3 two of these silos can store 80m3 and the third 120m3. The containers for the office of the plant manager and for the control room are integrated in the supporting structure of the cement silos. Betonring Murtal decided for a 2.25m3 twin-shaft mixer from BHS. The output of the plant is designed for 100m3 per hour. 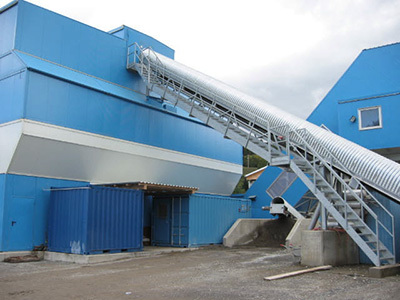 A recycling plant was installed for reusing the residual ready-mix concrete. 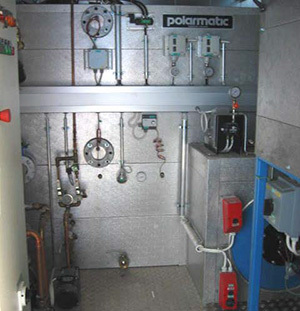 For heating purposes, Betonring Murtal uses a 1MW Turbomatic thermal energy unit from the Finnish company Polarmatic Oy. This innovative system is heating both aggregates and mixing water. Furthermore, this system allows an even production of 18°C concrete in (very) cold outdoor temperatures. The Turbomatic thermal energy unit was delivered in a 20 feet container, which is installed next to the aggregate silos. Heating was maintained from the start date in January 2003 until middle of March 2003. Despite of a very cold February, the oil consumption was only 4000 liters during this period. This means that only 70 liters of heating oil was used for each operating hour of the Turbomatic energy plant. In other terms, the plant is operational with an oil consumption of only around 0.5 liter for each 1 m3 of concrete! The Betonring Murtal is exceptionally impressed by the very easy handling and straightforwardness of the Turbomatic thernmal energy unit. This straight forwardness results in reliability and functionality.